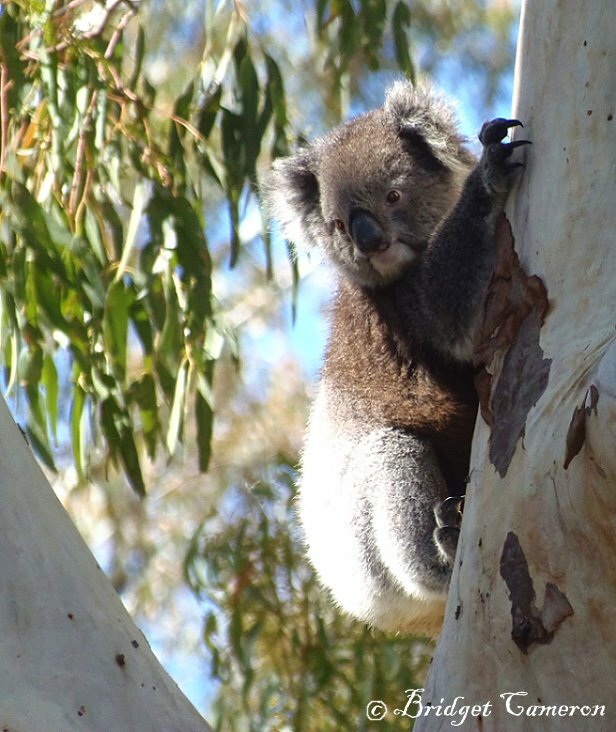 Watched this gorgeous koala climb and jump from branch to branch of this mighty gum tree, before settling down for a sleep zzzzzzzzzzzzzzzzzzz :).. . So lovely 🙂 Beautiful capture, Bridget! Thanks so much Amy! 🙂 I enjoyed watching her antics very much. Yes, she was in a huge gum tree just outside one of the buildings at Banksia International High School. I’ve made a couple of mp4 videos, yet this format does not upload to wordpress, so I’ll look to convert them, or find an alternative route so that you can watch one climb! :). I’ve posted it on facebook Eiry :). 🙂 I can imagine how happy she was, I myself always feel happy if seeing the animals live in their own place, in the wild, not in a zoo or in cages.